Apple Graphics 3rd Annual BBQ !!!!!!! 3rd Annual Summer BBQ at Apple Graphics!!!! Join us at 390 Pike Road in Huntingdon Valley Pennsylvania. 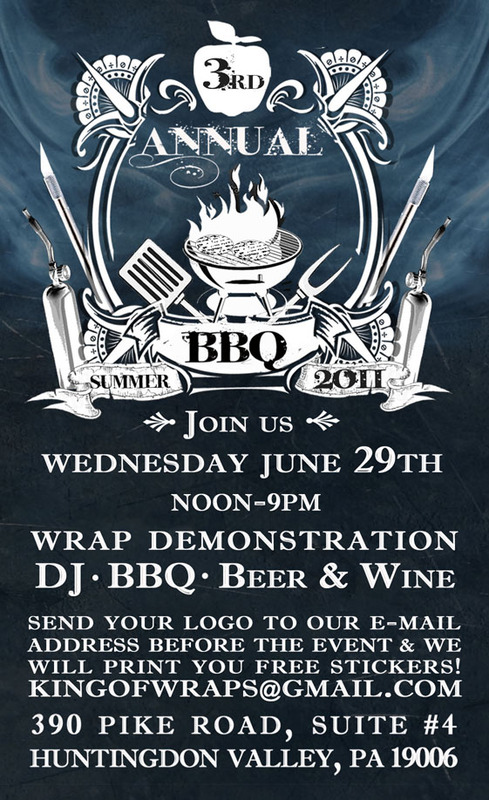 Music, Beer & Wine, and a Wrap Demonstration. Noon-9pm. Send your logo to our Email & we'll print free stickers at the event.